“Brandi Rarus was just 6 when spinal meningitis took away her hearing. Because she spoke well and easily adjusted to lip reading, she was mainstreamed at school and socialized primarily in the hearing community. Brandi was a popular and happy teen, but communication—and being fully part of every conversation—was an ongoing struggle. In college, Brandi embraced Deaf Culture along with the joys of complete and effortless communication with her peers. For the first time, being deaf wasn’t a handicap; it was a passport to a new and exciting world. Brandi went on to become Miss Deaf America in 1988 and served as a spokesperson for her community. It was during her tenure as Miss Deaf America that Brandi met Tim, a leader of the Gallaudet uprising in support of selecting the school’s first deaf president. The two went on to marry and had three hearing boys—the first non-deaf children born in Tim’s family in 125 years. Brandi was incredibly grateful to have her happy and healthy family, but she couldn’t shake the feeling that something was missing from her life. She had always dreamed she would have a daughter. Little did she know that just across the state line, Zoe was waiting for her. When the publisher, BenBella Books, approached me about receiving a physical copy of the book and reviewing it, I was very excited to accept it. Finding Zoe gave me a glimpse into a world that I don’t know much about. It showed me what it’s like to be deaf, but the book is so much more than that. It’s about never giving up on your dreams. In this case, Brandi Rarus never gave up on her dream of having a daughter even though the journey was a difficult one. I couldn’t put Finding Zoe down and kept reading every chance I got. Not only did the book provide some historical information about the deaf community, but it told the story of what it’s like to be deaf and a woman’s struggle to find the daughter she was meant to have. Brandi’s dream finally came true when she adopted Zoe. The book is split up into three parts. 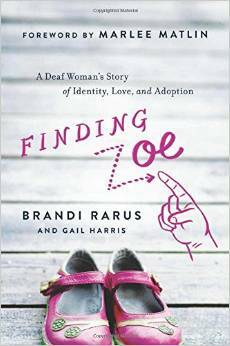 Part one is about Brandi’s journey to accept herself as deaf and being a part of the deaf community. You find out how she met her husband and how much she wanted a daughter. She was so close to Zoe, yet so far. The second part is about Jess and BJ who are the birth parents of Zoe. Their story seems like a sad one, but they are truly inspirational people. Deciding to give up your child so that she might have a better life is probably the most difficult decision someone can make. I admired their courage especially when there were many obstacles during the adoption process. The final part of the book is how Brandi and Zoe were finally brought together as mother and daughter. It took quite some time for Zoe to finally be a part of a home where she could thrive as a deaf child, but everything she went through brought her to Brandi. I learned so many things while reading Finding Zoe. I learned about being deaf and some significant events within the deaf community that helped bring awareness to the inequalities deaf people face. I learned more about adoption and the difficulties birth parents face. And finally, I learned not to give up on your dreams no matter what. I absolutely loved Finding Zoe. It’s a very inspirational story full of love, hope, and courage. I would recommend this to all of my readers. There’s a cute video with Brandi Rarus and her family. I wanted to share that here. BenBella Books has generously provided me with a physical copy of Finding Zoe to giveaway to my readers. Enter here for your chance to win this amazing memoir. The giveaway will be open until January 8, 2015. 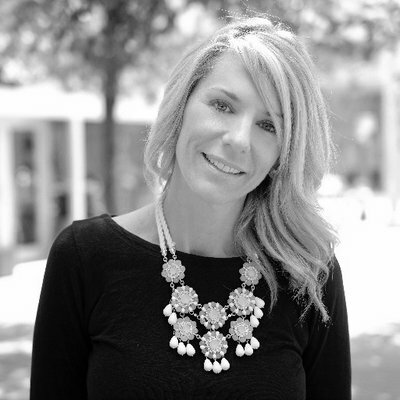 Brandi has dabbled and succeeded in whatever she puts her mind to. Brandi is married to Tim Rarus, one of the leaders of the Gallaudet “Deaf President Now!” protest that took place in Washington, DC in 1988. A former Miss Deaf America, she signed the National Anthem at a Chicago Cubs baseball game, has spoken at corporations including AT&T, and federal agencies including the Food and Drug Administration, and the Federal Communications Commission. 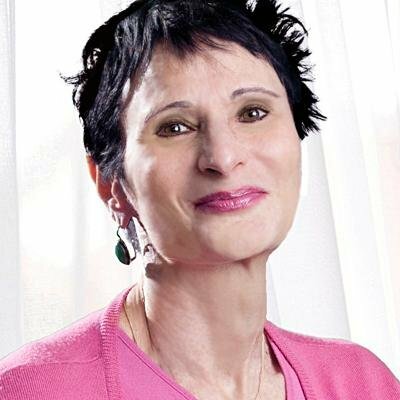 She has appeared on the Emmy-winning television series,“Deaf Mosaic,” given newspaper interviews, and was on the cover of the October 1988 issue of Deaf Life Magazine.